A Ring Thing was born January 26, 2017 at GreenMount Farm, and is a Maryland-bred daughter of Grade 1 winner & sire The Factor. Her dam, I’m Engaged, is out of a half-sister to Eclipse Champion Flanders. A Ring Thing began the breaking and training process last September at Twin Ponds Farm in Pennsylvania, and is currently with Lynn Ashby where she was Delaware Certified. 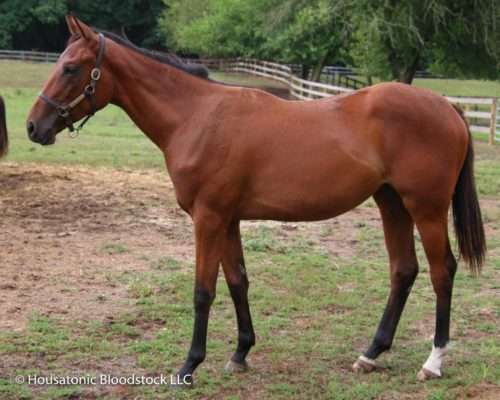 She could reach the races later in 2019 for us and our partners at Pewter Stable. You can read why we planned the mating that produced this filly here, and check out more photos of A Ring Thing here.